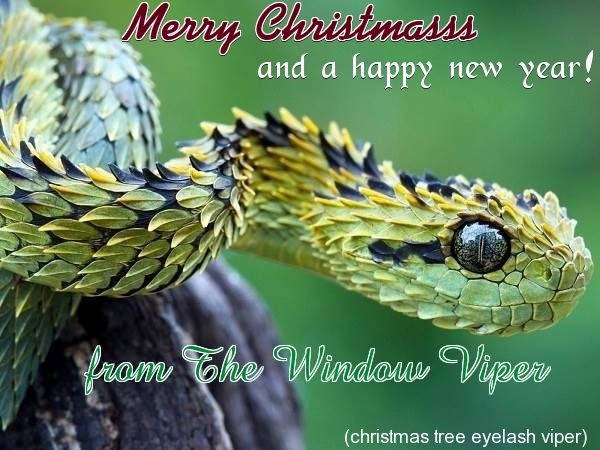 The Window Viper - For The Best Blog "Go Green!" 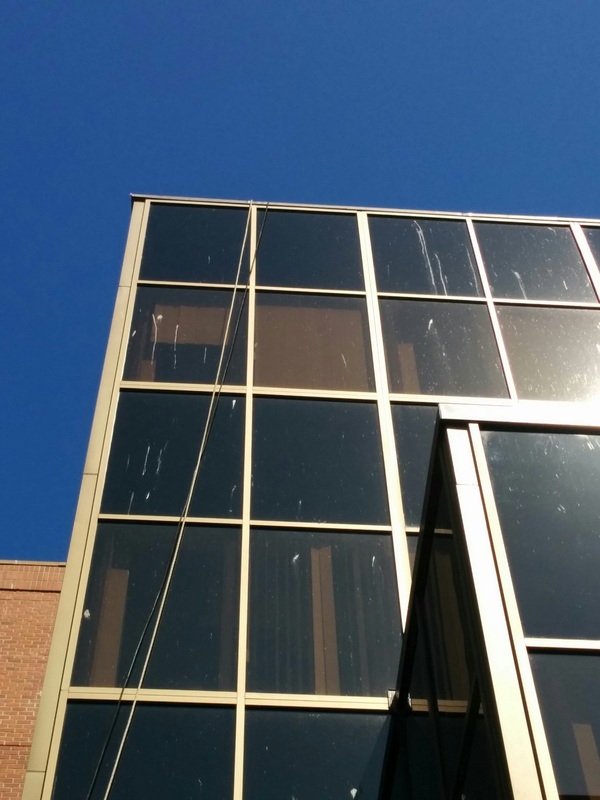 The Window Viper has the most informative blog on cleaning than any other website! Why do I have to take my screens out? "I don't know how to take my screens out"
Let's talk about window screens for a minute. They let you open the window for fresh air without letting bugs come inside also. They are made of very light materials and are designed to be removed and replace with ease for the purpose of cleaning and maintenance. 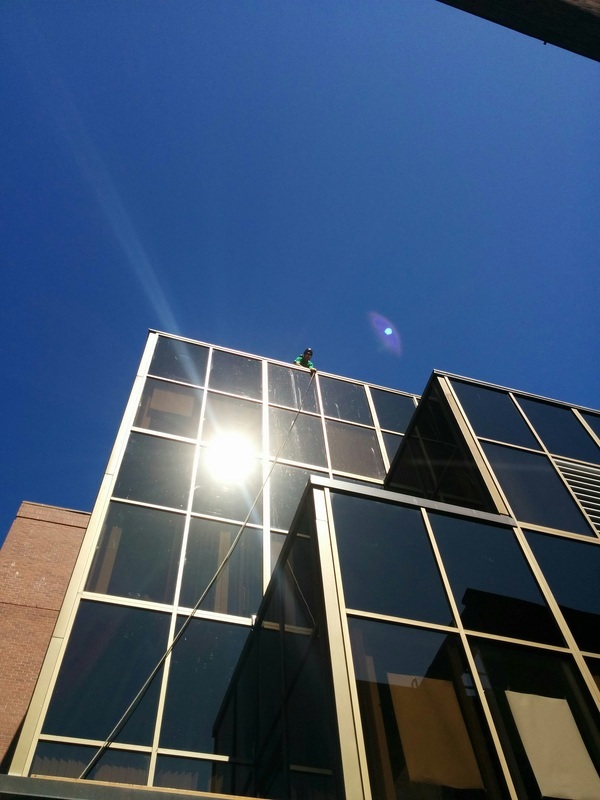 Since The Window Viper Inc. adopted a ladder-less approach to exterior window cleaning we have been requesting clients to have the screens pulled out for us so we can reach the glass, safely from the ground, without the risk of falls and damage caused by ladders. Now you are a trained and certified screen popper inner outer! 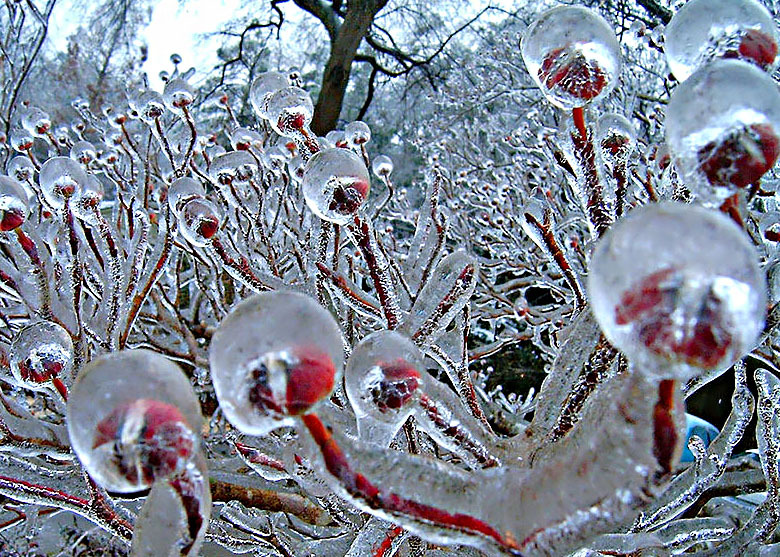 ​No better time than when the world is frozen stiff, to compose the next issue of The Window Viper Newsletter. With snow packed on the roofs, and solid slabs of ice in the gutters, we have been enjoying some extra down time and making the best of a wintery December. 2016 was a very challenging and successful year for us, thanks to clients like you. The service continues to evolve, and with the implementation of the new online billing system, we have made it more convenient for the customer to pay simply with a click of a mouse. This process mends seamlessly into our accounting software also so it has cut down on paper consumption drastically. 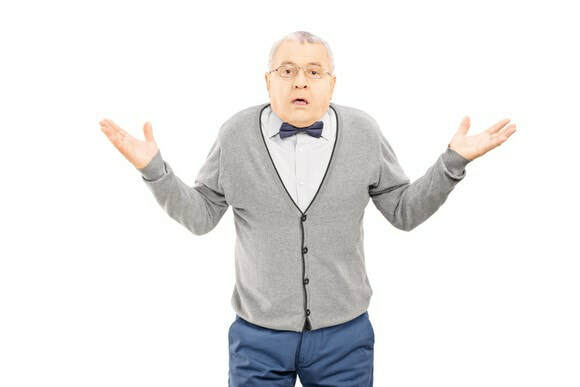 Our online quotes are also 100% paperless now as well, which has not only stopped paper consumption, but has also streamlined the quoting process so you get the quote in your e-mailbox within seconds of the assessment. Our roof cleaning services are the best in the business and we have seen such a huge demand for this service that plans are in the works to branch out a second service named "Moss Masters". Right now we have purchased the domain www.mossmasters.ca and it currently points you to the Window Viper roof cleaning page. Keep an eye on our newsletters and blog for updates on this new venture, you might be seeing a new truck on the road soon! Our crew now consists of myself and two full time technicians (Tyler & Luke) and each of us now carry a valid rope access ticket for any rope and harness related work. We will most likely expand the crew again in 2017, and as always we will seek out the most qualified individual. At The Window Viper everything is green, except for our staff! Nature has her way with us this time of year. When temperatures drop, and things ice up, we can't risk working on roofs or putting ladders on icy surfaces. We ask for, and appreciate your patience & understanding when forced to re book your service call due to snow or ice. So far this year we have been very lucky with a warm wet November, but December is turning out to be a cold frigid month. Hang in there, we will get to you as soon as it warms back up. We want to get back to work just as bad as you want us to! First off lets talk about siding washing. When we started out we were using simple water fed poles and manually scrubbing siding vinyl siding. Using nothing but tap water gave great results but, without some sort of algaecide to sterilize the surface as an additive, we would see the green stuff coming back to the wall within a year of the last wash. We needed to prolong the results and so, the research began. After a few weeks of talks with other professionals across north america we were introduced to "Soft Washing". A very effective and safe method of washing siding that uses a concentrated detergent (Sodium Hypochlorite, soap, & water) to dwell on the walls for a few minutes, then it's rinsed of and diluted by simple tap water. The key word here is "SOFT". Never in this process do we use high pressure of scrubbing. The benefit is that no water is forced into the walls, and the mould, algae, and mildews are 100% neutralized which prevents any new growth for years to come. Think of it as returning your siding to a sterile, fresh our of the box condition, yes, you can now eat off of it (if it weren't vertical). We have been using the soft wash system for a couple of years now and it's been great for roofs with black stains, siding, and restoring black slimy wooden decks. The chlorine smell is pretty noticeable for the duration of the cleaning but soon after disperses. It is important to heed the instructions for preparation provided by us prior to a soft wash to ensure none of the product lands on anything that could be stained. 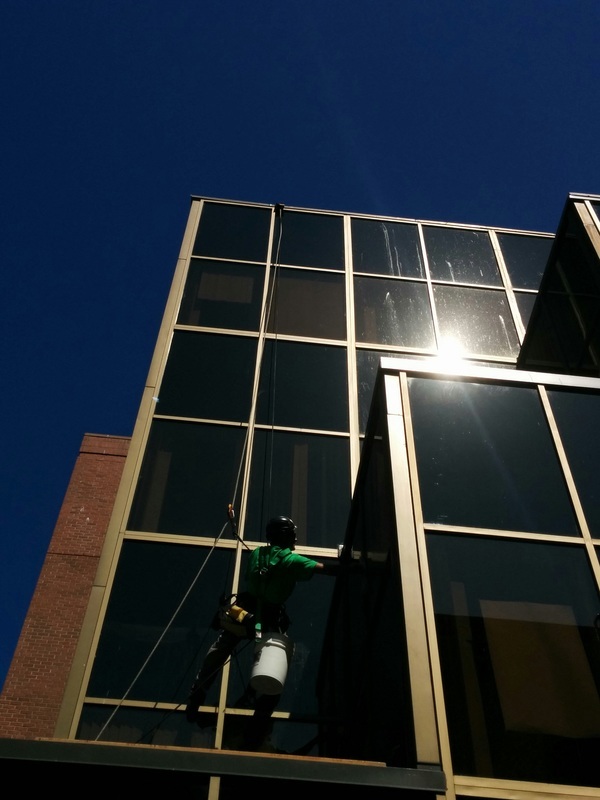 Sodium Hypochlorite is a powerful cleaning agent that, when used properly, is safe for the environment. Since we dilute it at least 100 times to 1 by the end of the process we are left with essentially swimming pool water or even less than. When that water evaporates the only by product to remain is trace amounts of Sodium aka Salt. The next product to go over is our moss killer which is as amazing as it is effective. We tried all the consumer brands like MossOut, 30Seconds, Spray&Leave, Tide, etc and we were never happy with the results, we needed something that was safe on the earth, and that we could guarantee will work. We found a product named WASH SAFE Roof Wash, a powdered hydrogen peroxide that you mix into water and spray the roof. We found that once we take as much moss off of the roof FIRST, and spray after, that we could provide same day results to our clients and guarantee no moss for a year, if not more. Hydrogen Peroxide is a great product, very safe to handle and it oxidizes very quickly. Once it comes into contact with the roots and bits of moss on the roof it quickly turns into foam and burns into the moss, killing it to the root. After a few minutes the hydrogen and oxygen gas evaporates and the by product is H2o. We have been using this system for a couple of years now and we can confidently say that we sell the most effective and eco friendly moss removal system that there is. Toot! Tooot! 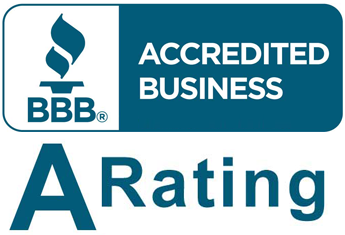 Just have to blow my own horn here for a sweet moment to celebrate our recent accreditation from the Better Business Bureau and 'A' rating. It's really nice to know that after three years of commitment to service and quality above all, that we've built a solid reputation for those things and it's not going unnoticed. The Window Viper is still just a small family owned business with a lot of growing to do. As time rolls by and we continue to grow our little business it's crucial for us to make sure we have the right people on our team to maintain the passion that drives us to excellence. 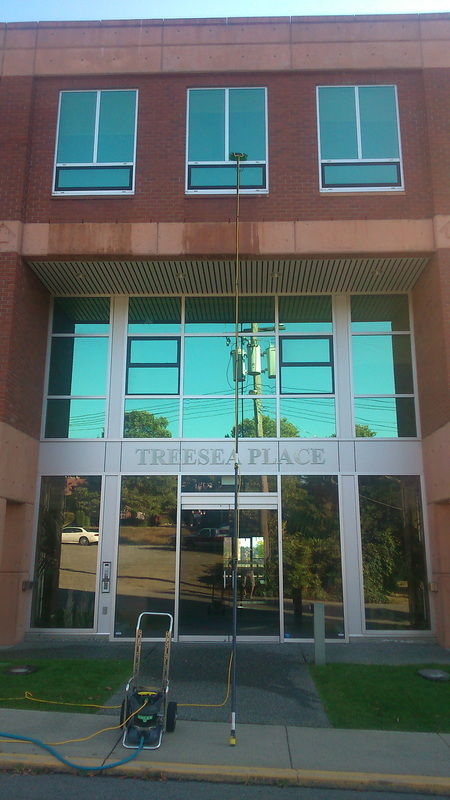 Thanks to all of our loyal clientele and we are always welcoming new ones to experience what a real professional window cleaning service is all about. I thought I had it all in the bag! 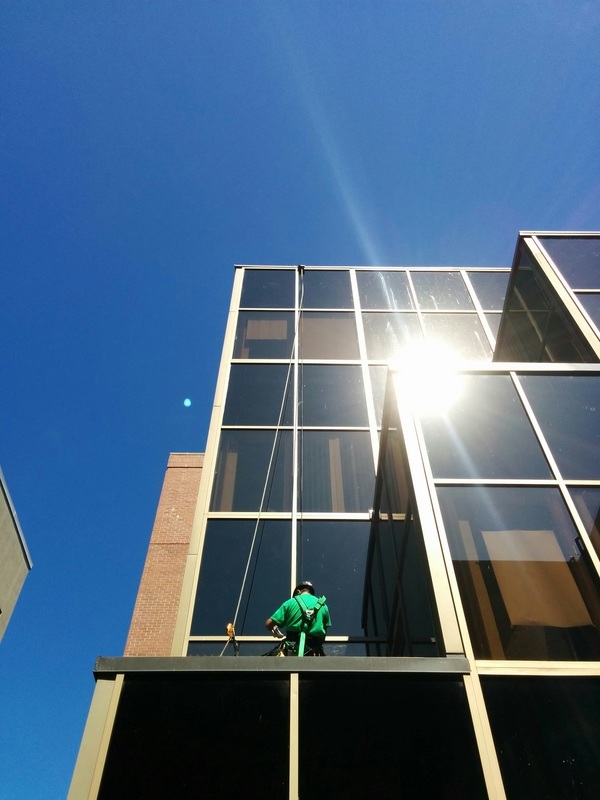 Early this year I hired an exceptionally skilled window cleaner to help take the company to the next level. The two of us were crushing through jobs like an unstoppable train. With all the work adding up and the long days I was blinded to the fact that I had all my eggs in one basket. Ya, the old saying. Well, my guy was a very hard worker and had a tendency to overexert. Eventually I got the call on a monday morning that he had to rest his sore arm. Days later his doctor advised him to stop using it. Disaster struck, and very quickly the unstoppable train was derailed and the struggle to avert disaster was the new non stop beast. Another famous saying - everything happens for a reason. Once I got news that I needed to replace my main crewman I decided to make some serious changes to the company structure and started to create and staff another crew, in another truck. And never to have all my faith lying on one single card. We're now about ready to get back full swing into the service end of things. I'm very thankful to my loyal clients for their patience during the sudden overhaul. Trust me, it's all for the best. We wish Dennis a fast recovery and hope that in time he can return to the work force and once again be a word class window cleaner. INtroducing "Soft Washing". The latest In Eco Cleaning! 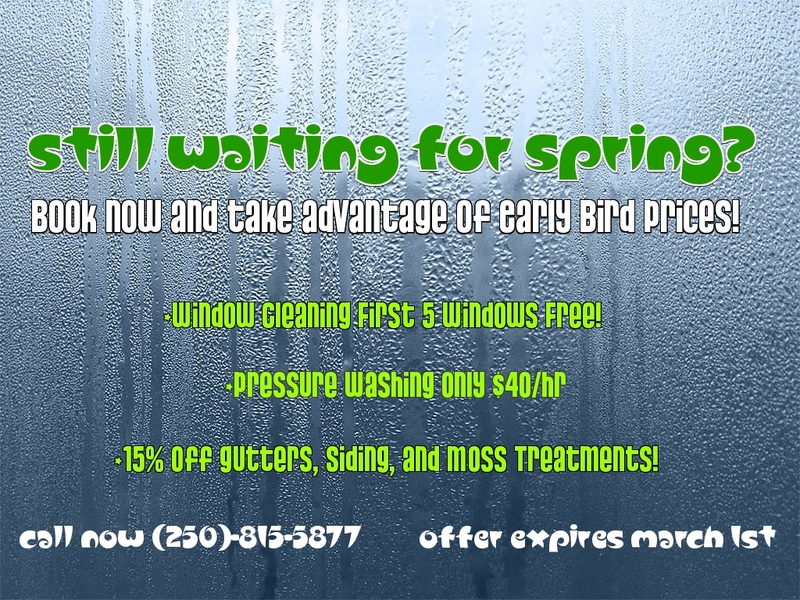 Just added to the Window Viper arsenal of eco friendly cleaning services is a state of the art soft wash system. What it is and how it works are two questions I will answer in this latest blog post. How I came upon discovering this method was kind of funny after one day posting a before and after photo of some siding washing I recently did in Chemainus BC. I shared this to a Facebook group, thinking how great it was that I could wash this wall in 45 minutes with a water fed pole. The response I got was an un expected barrage of "Soft wash would only take ten minutes" comments, and within 24 hrs I had been convinced to try it out myself. How a soft wash system works is quite simple and very effective, but you need to invest some money in it to get yourself going. I searched for the best and most eco friendly water additives and came across a Vancouver based company that sells the product and also a professional / portable soft wash system. The active ingredient is Hydrogen Peroxide instead of bleach or other sulphates and chemical compounds. The mixture is pre mixed in a reservoir and then pumped at low pressure onto the roof or whatever it is you're cleaning. The you wait for five or ten minutes to let it do it's thing and then, with gentle pressure, rinse. The amazing thing is how fast and safely a roof can be restored to pristine condition. 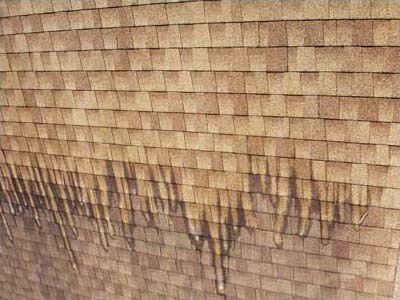 No more waiting for weeks to see the results of a traditional roof clean using rakes and powdered moss killers. With this new system the results are instant and gratifying. The newly purchased, state of the art window cleaning system by UNGER uses pure water and reaches 44 feet high, only weighs 8 lbs! 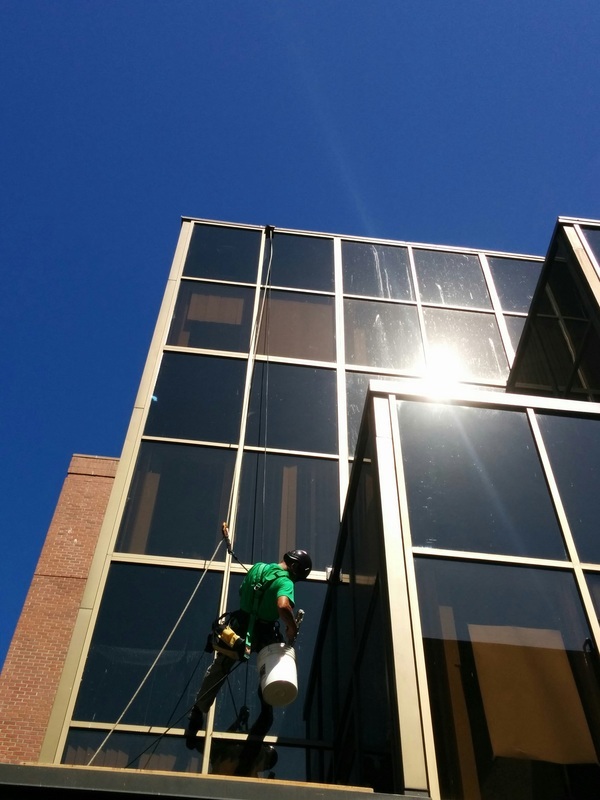 Have you ever wondered about the latest technological developments in professional window cleaning? Probably not, and I don't expect that you would. For years, and years the squeegee, hands down the greatest invention ever, has been the undefeated go to tool for perfect window cleaning - and I will not disagree. Invented by Ettore Steccone, the rubber squeegee is regarded by all as the end all be all due to it's versatility and ability to completely remove water from glass, leaving no streaks (when used properly). However - times are changing .. . Using a portable water purification unit (De-ionization) the minerals that are collected by H2o molecules by electro static energy, are removed from the H2o through this process, providing PURE WATER without any foreign particles or residual minerals that can dry and leave unwanted spots or drops. 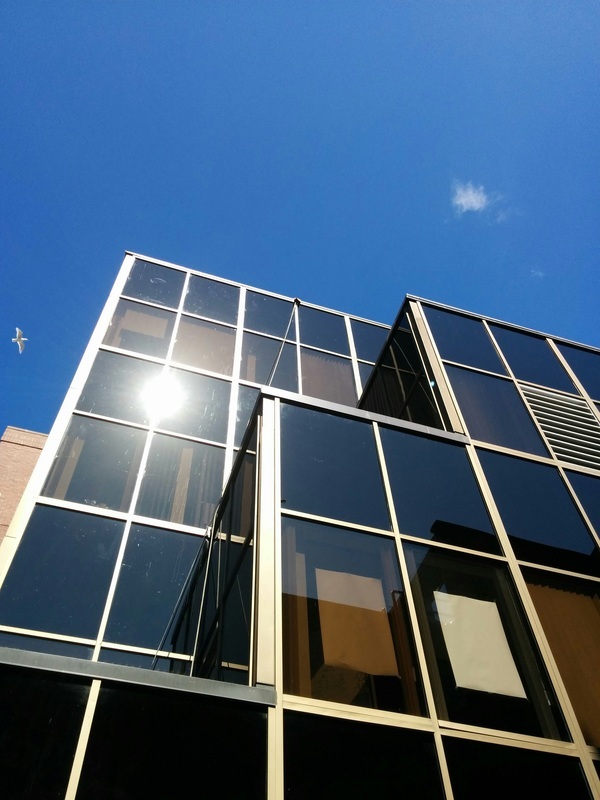 The PURE WATER dries free of any particulates on the glass. This is best window cleaning product on earth today. And it only makes me laugh to know that as an ECO Friendly company, not onl yard we doing the best to give results, we are doing ZERO harm to the environment. To sum this up, the system is not cheap, it costs a LOT to invest in this stuff. Thanks to you, the client, I was able to invest in this so that The Window Viper can stand strong behind it's ECO standards, and provide the public with the best latest technology that will protect and clean your property. This is not a replacement for the almighty squeegee, but more like the squeegee's heavy artillery division, ready to blow away large commercial jobs efficiently and safely.